Peter was an ambassador for Road Safety for almost 40 years and an all round good bloke. Part of his legacy in New Zealand was in his fervent desire & interest in improving road safety. Peter was instrumental in assisting us in the original set-up of our NZ Advanced Driving Course. We also assisted him by designing of the highly successful ACC / Peter Brock TV commercials. 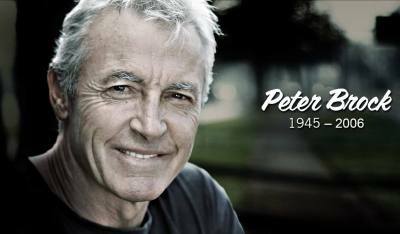 The entire NZ Advanced Driver Training Team strives to continue Peter's road safety legacy. Since 2012, they no longer have any direct association with our ongoing Road Safety activities. intellectual property rights and at all times remains the sole property of Advanced Driving Systems Limited. No part of this website may be used, copied or adapted without our express prior written permission. NZ Advanced Driver Training is owned and operated nationwide by Advanced Driving Systems Limited.